Mayur had just returned home to India from Singapore after completing the final semester of his hotel management degree. His family has been in the hotel business for many years and he was excited to finally be finished with his schooling and join the family business. One day while riding the train to visit some of his family members, Mayur slipped from the train onto the tracks and lost both of his legs. Once Mayur had recovered from his injuries, he was fitted with two LIMBS’ legs that we were able to provide because of the efforts of the students of Long Middle School! 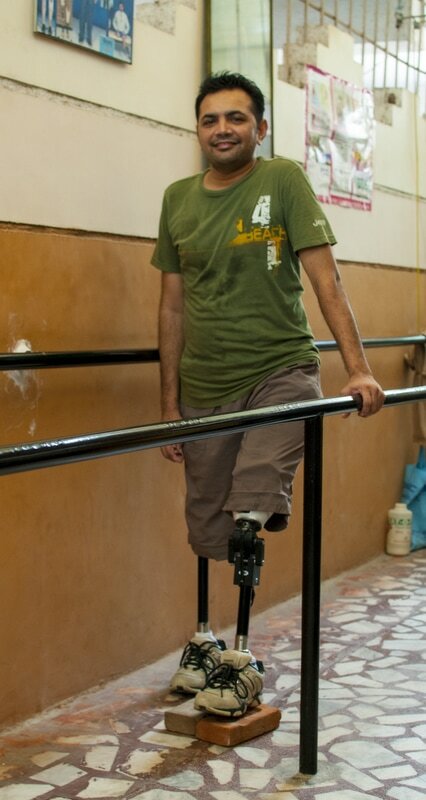 Mayur is very grateful for the partnership between LIMBS and the students which provided him with his new legs. Despite his accident and long road to recovery ahead, Mayur has a great attitude and is looking forward to walking into one of his families hotels someday soon.